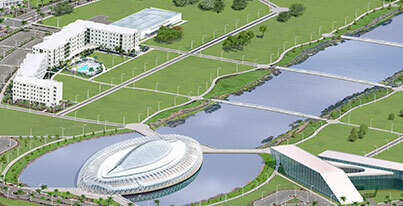 LAKELAND, Fla. – This summer, dozens of students at Florida Polytechnic University are fanning out across the country to intern with some of the largest and most high-tech companies, solving real-world challenges and building their path to full-time employment. A total of 64 Florida Poly students have secured internships with dozens of companies such as Coca-Cola, General Electric, Lockheed Martin, Motorola and Port Tampa Bay. The Career Development Center at Florida Poly is powered by Purple Briefcase, a career readiness platform that uses technology and content from industry experts to help students stand out in today’s competitive job market. “This is an actual workplace that you see in the movies, and I never imagined I would be in that kind of place as a sophomore in college,” says Michelle Culbert, a rising junior interning at Lockheed Martin in Lakeland. Through the Center, students can explore a variety of career paths, search for jobs and internships, receive individual resume assistance, ask questions in career chatrooms and learn about career workshops and events. Florida Poly plans to expand its internship program through industry partnerships. University members have the opportunity to work side by side with industry leaders in research, entrepreneurship and interdisciplinary collaborations, offering a significant advantage for students, faculty and companies. 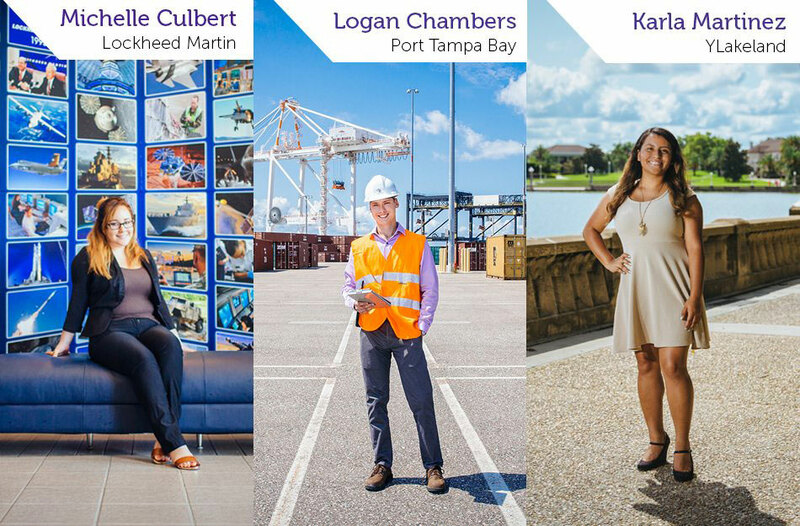 “They really want to make sure we’re learning and getting hands-on experience,” says Florida Poly student Logan Chambers interning at the Port of Tampa Bay alongside two other Florida Poly students. “These internships are stepping stones for us, but you have to go out and look for the opportunities,” added Karla Martinez interning at YLakeland, an initiative of the Lakeland Economic Development Council working to attract and retain young professionals in Central Florida. For companies interested in participating in on-campus workshops, recruiting events or joining Florida Poly’s influential group of Industry Partners, please visit our partnership page.